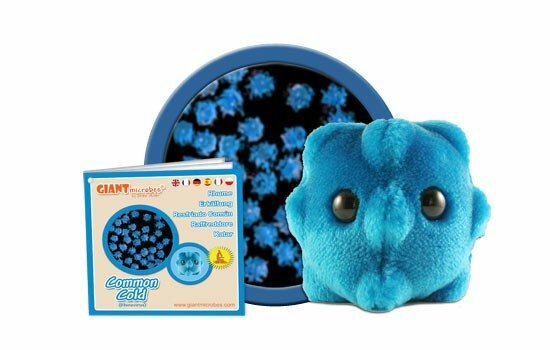 Common Cold (Rhinovirus) under a microscope! 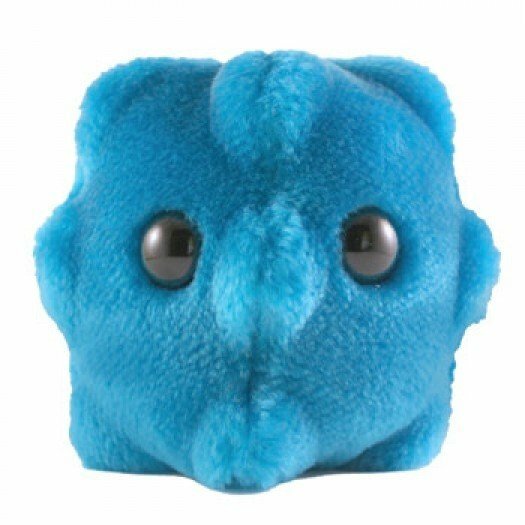 FACTS: There are over 250 different kinds of cold viruses! But rhinovirus is by far the most common. (Rhino means "nose" in Greek – think rhinoceros.) With over 100 different varieties, rhinoviruses are responsible for almost 35 percent of colds. Rhinovirus is particularly active during the fall and winter months. Why? Because rhinovirus loves the low humidity. Also, when the humidity is low, your nose dries out and is more susceptible to infection. But, despite what many think, studies show that one thing that doesn't cause a cold is cold! The best thing you can do to lower your chances of catching a cold is to wash your hands a lot. Rhinovirus can survive three hours outside someone's nose. If it gets on your fingers and you rub your nose, you've caught it! What can you do if you get a cold? Not much. Antihistamines and decongestants can help relieve the symptoms of a cold. But antibiotics only work against bacteria and not against viruses. So get plenty of rest and drink lots of fluids – and play with your GIANTmicrobes! 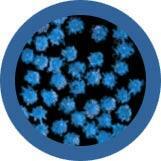 The rhinovirus is around 20 nanometers in diameter. 250,000 rhinoviruses fit end-to-end across a pencil eraser. Cold viruses infect human beings. The cold virus targets the upper-respiratory system (the nose and throat). Cough, sore throat, runny or stuffy nose, muscle or body aches, and tiredness. There is no cure yet. 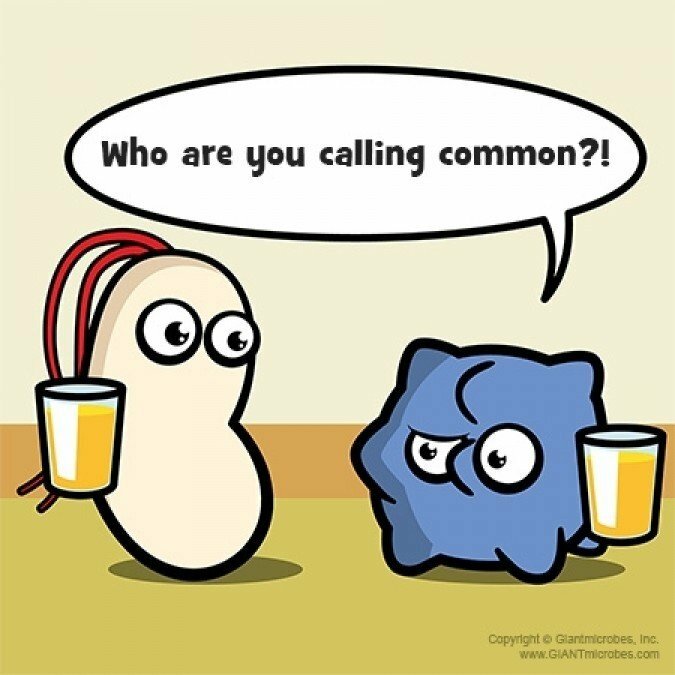 However, there are many remedies to treat the common cold! Mind your contact with others, frequently wash your hands, and treat symptoms using over-the-counter medication. The “Cold” got its name from an old wives’ tale believing that being outside for prolonged periods of time in cold weather allowed you to “catch” the virus. In the United States, the common cold leads to 75–100 million physician visits annually at a conservative cost estimate of $8 billion per year. Americans spend $3 billion on over-the-counter drugs and another $400 million on prescription medicines for symptomatic relief. There are 200 different viruses that cause the common cold; rhinoviruses are the most common culprit.